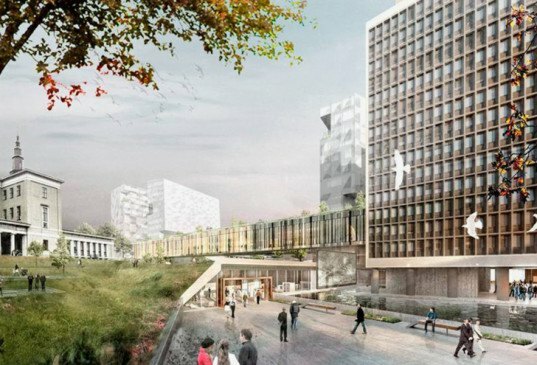 A new government quarter will soon be built in Oslo, Norway, and the city held an open competition for architectural proposals to design the project. 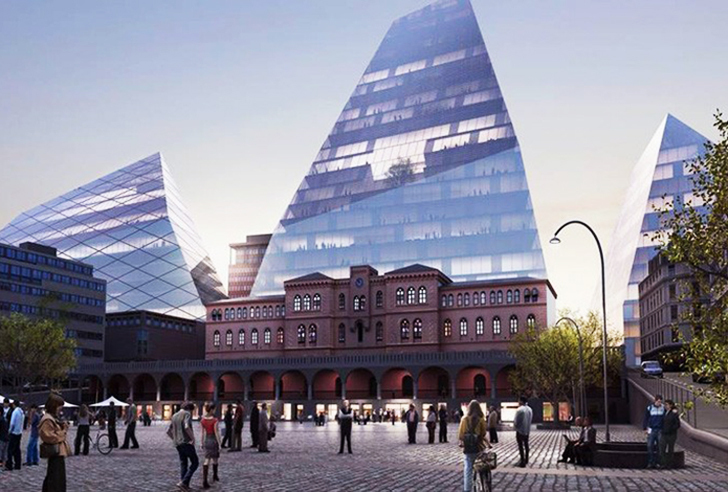 Of the 24 original submissions, 6 have been chosen as top contenders, including those by internationally acclaimed architects such as Snøhetta, Bjarke Ingels Group (BIG), and MVRDV. 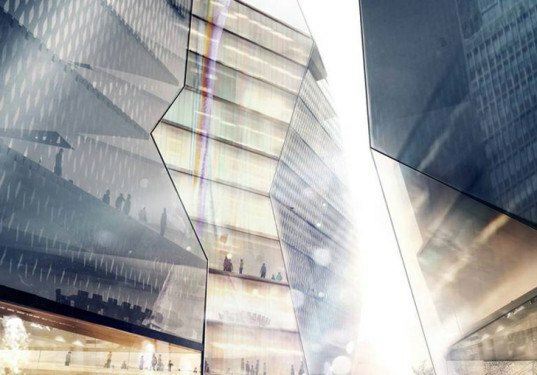 Click through the gallery to see what these designers have envisioned for Norway's capital city. BIG‘s proposal was a bright urban park that bridged the new structures with the site’s existing historical buildings. The new addition would be comprised of three towers, the tallest of which would stand at just over 340 feet in height. 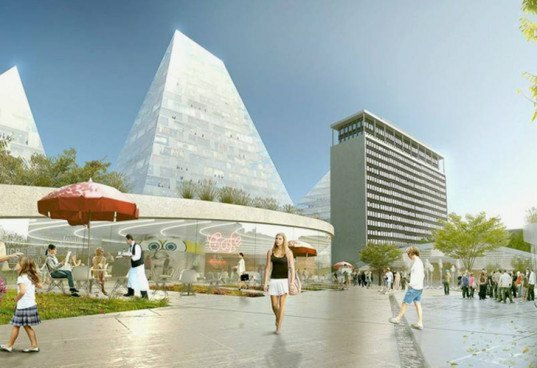 Snøhetta proposed three shining towers flanking the existing government buildings, and the enhancement of a local urban park. Another tower design came from Asplan Viak: they envisioned tall, elegant towers that would complement existing architecture. 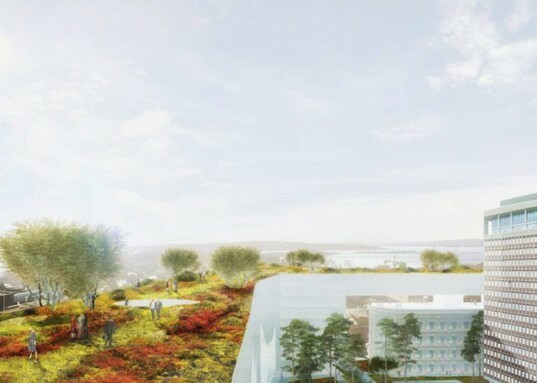 Their plan also includes transforming the public spaces around the buildings into a sprawling city garden. In contrast with the previous firms’ tower designs, Dutch firm MVRDV proposed a ring of lower office buildings topped with rooftop gardens. The green terraces would be open to the public, and would offer views of the city without obscuring nearby vistas. 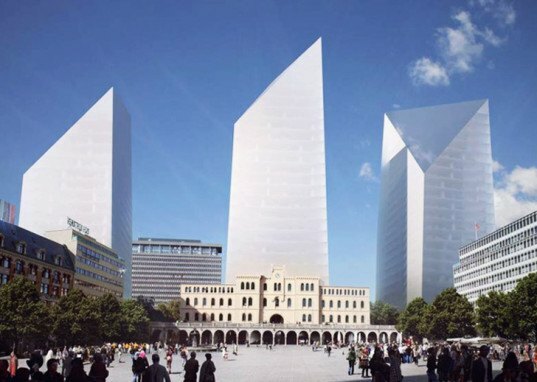 LPO‘s proposal centered around a large government park that would be open to the public; it would include a large memorial to those who died in the 2011 attack. They also envisioned office buildings in varying heights: these would hold the Prime Minister’s office as well as those of other officials. Meanwhile, White envisioned dynamic, angular buildings with colorful facades to add a touch of futurism to this ancient city. BIG's proposal was a bright urban park that bridged the new structures with the site's existing historical buildings. The new addition would be comprised of three towers, the tallest of which would stand at just over 340 feet in height. The public park that Snohetta envisioned would have gardens and running/walking trails. Another tower design came from Asplan Viak: they envisioned tall, elegant towers that would complement existing architecture. Their plan also includes transforming the public spaces around the buildings into a sprawling city garden. In contrast with the previous firms' tower designs, Dutch firm MVRDV proposed a ring of lower office buildings topped with rooftop gardens. The green terraces would be open to the public, and would offer views of the city without obscuring nearby vistas. 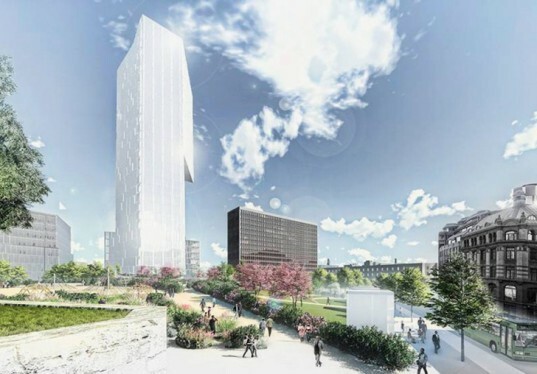 LPO's proposal centered around a large government park that would be open to the public; it would include a large memorial to those who died in the 2011 attack. They also envisioned office buildings in varying heights: these would hold the Prime Minister's office as well as those of other officials. White's proposed towers: night view.